Humphrey was an avid and talented student of dance from an early age. In 1917, after graduating from high school and teaching dance in Chicago for four years, she joined the Denishawn ﻿dance school and company in Los Angeles. She soon became a leading soloist in the company, and by 1920 she was experimenting in choreography. Her first major work, to Edward MacDowell’s Sonata Tragica, was presented in 1925. The piece possessed such strong choreographic rhythms that Humphrey’s mentor, Ruth St. Denis, later presented it as the first American modern dance performed without music. After a two-year tour of Asia, Humphrey and another Denishawn dancer, Charles Weidman, directed the Denishawn House in New York City until 1928, when they left to form the Humphrey-Weidman school and company, which was active until 1944; Sybil Shearer, Katherine Litz, and Jose Limon were among the more famous members of their company. Humphrey wanted to create dances that reflected her individuality and were appropriate to contemporary America. To develop a personal technique she spent many hours in front of a mirror and came to believe that all movement fell within the “arc between two deaths,” or the range between motionless balance and falling imbalance incapable of recovery. She understood that every movement a dancer makes away from the center of gravity has to be followed by a compensating readjustment to restore balance and prevent uncontrolled falling; the more extreme and exciting the controlled fall attempted by the dancer, the more vigorous must be the recovery. As Mary Wigman had utilized space as the ever-present antagonist, so Humphrey made dramatic use of gravity, displaying the human desire for security (balance) in conflict with the urge for progress and adventure (imbalance). Another of her innovative theories held that movement is not always the consequence of emotional impulse but can itself create meaning. 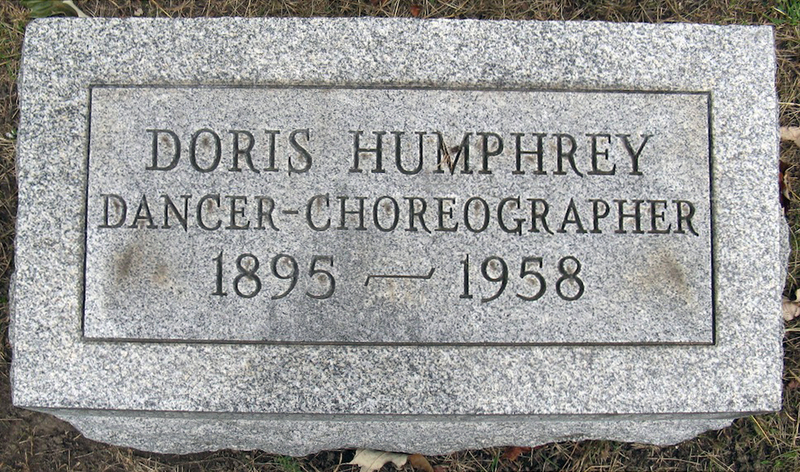 Humphrey’s choreography began with experiments in dance theory and as an attempt to reduce dance to pure movement. Water Study (1928) incorporated her theory of fall and recovery and used only nonmusical rhythms (waves and natural human breath and pulse rhythms). Drama of Motion (1930) was themeless and also performed without music; it has been described as one of the first symphonic dances and exemplifies her belief that movement creates its own meaning. After the essentials of her dance form had been successfully established, Humphrey’s work grew more complex, eventually developing into a full theatrical art. Dance of the Chosen (1931; later and better known as The Shakers) added drums, accordions, and incoherent speech to portray the ecstatic nature of the Shakers’ religious fervour. Her trilogy known as New Dance, after the title of the third section, was completed in 1936 but never performed as a whole. The work, often considered her masterpiece, explored human relationships through the so-called symphonic form of dance. With My Red Fires, the second section, portrayed romantic love, a theme previously held unsuitable or too difficult for modern dance. Theater Piece, the work designed to open the trilogy, was co-choreographed with Weidman. Inquest (1944), a social protest and the last work in which she performed, displayed her mastery of both abstraction and stylized gesture. 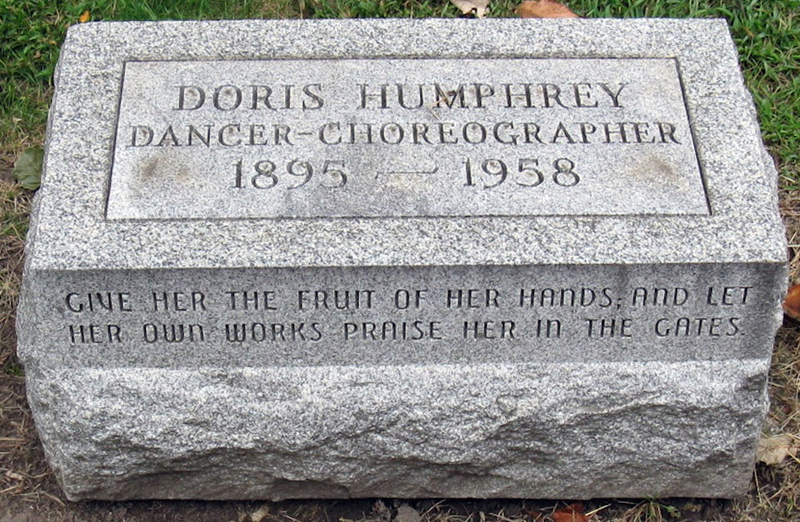 Noted for successful group choreography, Humphrey removed modern dance from the confines of individual emotion. With that theoretical foundation she choreographed a wide variety of works, including her version of James Thurber’s Race of Life; the abstract Passacaglia, danced to Bach’s Passacaglia and Fugue in C Minor; and dances for several Broadway productions. Humphrey retired from performing in 1944 because of an arthritic hip, but, as artistic director for José Limón’s company, she choreographed such successful works as Lament for Ignacio Sanchez Mejias (1946), Day on Earth (1947), and Night Spell (1951). She was also extraordinarily influential as a teacher, conducting classes not only at her own school but also at Bennington College in Vermont (from 1934), various summer workshops, and the Juilliard School of Dance (from its organization in 1952). She founded the Juilliard Dance Theatre in 1955. Her book, The Art of Making Dances, appeared posthumously in 1959.